Martitia (Tish) E. Tomlinson Blakely Died July 26, 2017 Memorial Aug. 7th Park Lawn Funeral Home 8251 Hillcrest Road K.C., Mo. Jack G. Makepeace born Feb. 14, 1939, passed away May 23, 2017, following a brief illness. Jack was born in Wichita, Kansas to Jack Gibbs Mackpeace and Katheryn Dahmer Makepeace. He is survived by his daughter, Laura M. Makepeace, and granddaughters Leah C. Gilliom and Natalie J. Gillion of Hood River Oregon, a sister Kathleen M. Kiser of Kansas City, Mo. and long time best friend Jim Hastings He was a science teacher Rock Club and the El Paso Chapter of the Native Plant Society of New Mexico. Until his illness, he served on the Vestry at St Alban's Episcopal Church in El Paso. A Memorial service will be held for him at 5:00 p.m. , Friday, May 26, 2017, at St. Alban's Episccopal Church 1810 Elm Street. Sharon Hide Hamil 76 of Overland Park, Kansas passed away May 31, 2016. A lifelong resident of Kansas City, after receiving a Bachelor of Science in 1961 and Master of Science in 1964 from KU. Sharon devoted the next 30 years of her life to the classroom starting at Indian Hills Middle school in 1970 and coordinator of Social Studies for the Shawnee Mission School District until retiring in 1999. An admired educator by both her peers and students. Sharon influenced many to follow in her footsteps. Married to Jim on Christmas Eve in 1976, their 40 year marriage included travel to places both near and far. So fond of their travels they published "Return to Kansas" in 1984 which includes Jim's watercolors and Sharon's writings. Initiated into the PEO in 1992, a devoted member of Second Prebyterian Church, dedicated much of her life to serving others in the Kansas City community. Survived by her husband Jim, her stepsons Andy and Alex along with many dear and loving friends. A memorial service is planned for June 26th at Cedar Hill. Friends are encouraged to contact Jim regarding details. Cremation Society of Kansas and Missouri, 8837 Roe Avenue, Prairie Village, Ks. 66207 913-383-9888 www.kccremation.com published June 5, 2016 k. c. star. Winston Salem May 13, 1939 - September 5, 2016 Judith Ann (Hesler) Payton passed away M to Elizabeth Covert and William Walter Hesler, Jr.onday, Sept 5, 2016 at Forsyth Medical Center. Judy was a devoted wife, mother and grandmother, a server of God, the church and people in need. She was born on May 13, 1939 in Kansas City, Missouri to Elizabeth Covert and William Walter Hesler, Jr. (both deceased). In her young life the family moved to Shawnee Mission, Kansas. Judy graduated from Shawnee Mission High School in 1957. Rose M. Pullins Rand age 76, of Linn Creek Missouri, passed away peacefully Sunday, April 10, 2016. Rose was born October 10, 1939 in Odessa, Missouri. She was the daughter of Atwood V. and Margaret E. Pullins. She graduated from Shawnee Mission North High School in 1957. She was united in marriage Sept. 26, 1958 in Mission, Kansas to Earl Rand Jr. Together they shared 58 1/2 wonderful years of marriage. Earl is also a classmate of our 1957 class. Ward Summerville passed away on November 7, 2015, in Bradenton, Florida, following long illness. Ward was born April 26, 1939, in Kansas City, Missouri, and was a lawyer before tiring to Florida in 1996. He leaves behind his wife Dorothy Julien Summerville, his son Jared C. Summerville, his stepdaughter Holly Julien Kingston, his Stepson Eric A. Julien and his sister Suzanne Summerville Padgett. He is to cremated and buried at sea. The family request no flowers or donations . 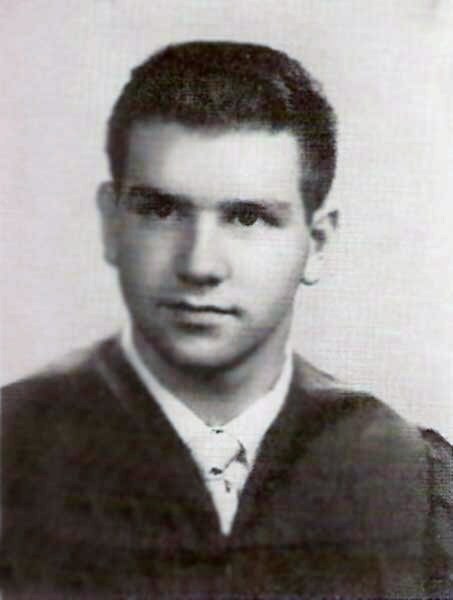 Ward attended Westwood View Grade School and Shawnee Mission High School graduating in 1957. A celebration party may be scheduled at a later date. Patricia Ann Mahon Shawbaker died 5-5-2015 after an accident which left her paralized and developed pneumonia. Colaw, Thomas Allan born Sept 1, 1939 and passed away April 25, 2013 in Dallas. He is survived by his wife Polly M son Christopher of Chicago and sister Carolyn Norberg of Leawood. We are so sad to hear of his passing but there must be some wonderful music being played up above. Tom was a Prairie Grade School student. Ro was a Shawnee Grade School Classmate and has attended several reunions. Died Overland Park, Kansas Aug. 29, 2013 at the Sweet Life at Brookdale Place. Robert Glen Smith born 12-18-1938 died 8-16-2009 K.C., Ks. SUZAN ANN POFFINBARGER MURPHY DIED 8-17-2013 lived in Mission, Ks. 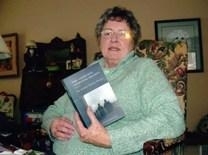 Marian Frances Soergel Poynter died 11-5-2012 her husband james H just telephoned me with the news. she lived in dacula, ga. This notification is to inform you of the passing of Mercury Club member Charles (Chuck) W. Scott, Jr. Funeral services are Thursday, Nov. 7th 2013. Services will be held at Second Presbyterian Church located at 55th and Oak Street. Sharon Ann Stanbury Foree died June 14, 2014 Lawrence, Ks. 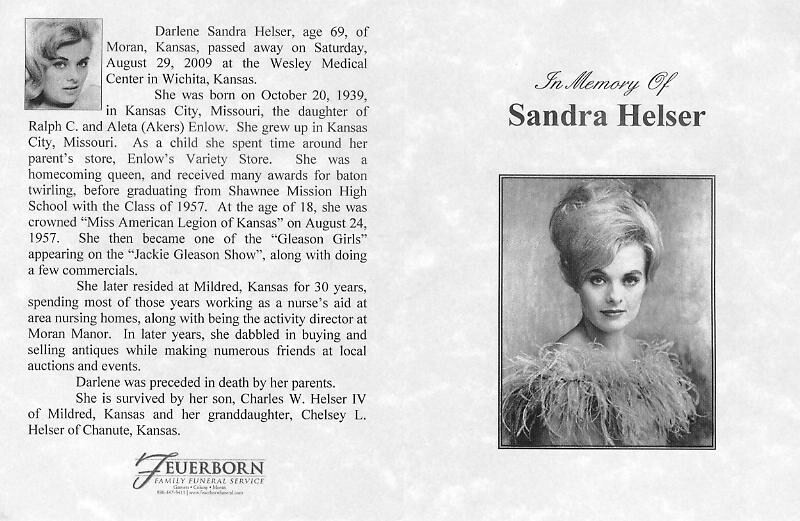 her obit was in both Lawrence and Kansas city Newspapes. 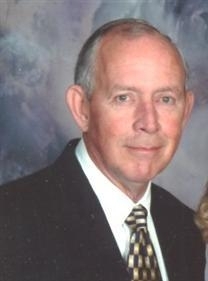 Michael L. Carter, 73, Carrollton, Mo., passed away Sunday, September 23, 2012, at his home in Carrollton. Mike was born Feb. 11, 1939, in Lawrence, Kan., the son of H. Houston and Fern R. (Lynn) Carter. He graduated from Shawnee Mission High School and attended Kansas State University for one year. On Aug. 8, 1958, he married Carol S. Henry in Shawnee, Kan. She survives at the home. Mike had farmed in Shawnee and Everest, Kan. Mike started his broadcast career in the 60's at 940 AM KIOA in Des Moines, Iowa. Not long after that, he landed at KMBZ in Kansas City. Mike and fellow KMBZ employee Bill Bilyeu then decided to form their own radio station in Hiawatha, Kan. KNZA went on the air in August of 1977. Four years later Mike purchased what was then known as KAOL AM & FM in Carrollton, the FM being re-branded as KMZU in 1982. He sold his interest in the Hiawatha station in June of 1983. After almost a decade in Carrollton, KANZA Communications acquired 93.5 FM KTRX in Tarkio and WHB in Kansas City. In 1996, a new station formed on the dial at 103.9 FM KRLI, which will be forever known to the faithful listeners as "Curly." He was a member of the Methodist Church in Horton, Kan. In addition to his wife, Carol, Mike is survived by his children, Christina Kiehl, Anita Mertz, Lynn Hammond, Miles Carter, Kathleen Kirzeder; one sister, Suzann Maloney; 28 grandchildren and nine great-grandchildren. His parents and one daughter, Carrie Miller, preceded him in death. Visitation will be from 3 to 4 p.m. Sunday, Sept. 30, at Gibson Funeral Home, Carrollton, with a memorial service following at 4 p.m. The family suggests contributions be made to St. Jude Children's Research Hospital or H.E.L.P. Services Cancer Fund in memory of Mike. They may be left at or mailed to Gibson Funeral Home, 201 S. Main, Carrollton MO 64633. Condolences may be sent to the family via Gibson Funeral Homes, Inc. website at www.gibsonfunerals.com and clicking on the obituaries link. Hart, Terril H., M.D. Age 73, of Minnetonka, MN passed away on August 30, 2012. Born in Kansas City, Kansas in 1939, Terril attended medical school at the University of Kansas and was the Chief Resident in Pediatrics at Children's Mercy Hospital in Kansas City, MO and the Chief of Pediatrics for the United States Navy at the Naval Hospital in Corpus Christi, TX before moving to Minnesota. In 1971, he co-founded the Wayzata Children's Clinic and was a beloved pediatrician for many families for over 20 years. Also a well-respected manager, Terril was the VP of Medical Affairs and Chief Medical Officer at Children's Hospitals and Clinics, the CEO of the Indian Health Board of Minneapolis and served as the Chairman of the Board of Allina during the early, crucial merger era. An avid sailor, woodworker and reader, Terril was a man of many interests and talents. He died suddenly of melanoma, a devoted husband, loving father, and grand- father. He is survived by his wife of 29 years, Janet Hustad; daughter, Sarah Hart; son, Michael Hart (Angela); grandchildren, Max, Julia, Anne, Olivia and Victoria; and brother, Michael Craig Hart (Patty). He was preceded in death by his parents, Ken and Helen Hart. Services are on the 11th of September at St. Stephen's Episcopal Church in Edina at 11 AM. Burial at Fort Snelling National Cemetery. Memorials are preferred to Melanoma Research at the Mayo Clinic. 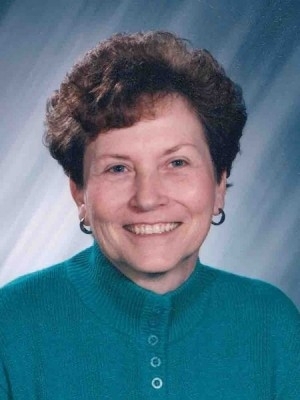 Laurence Keltner, of Shawnee, KS, passed away, Thursday, June 7, 2012 at Shawnee Mission Medical Center at the age of 72. On May 27, 1960, Laurence married Barbara McGrew and together they celebrated 52 years of marriage. They both enjoyed long hours of singing karaoke, country dancing and being with family and friends. He is survived by his loving wife Barbara, daughter, Donna Corbett and her husband John, son, Bill Keltner, 3 grandchildren, Heather Cutshall, Stephanie Culala, Tori Fraizer and 2 great-grandchildren, Ethan Cutshall and Ayden Mosley, sister, Gayle Lohmeyer and her significant other Sam Milholland, Diane Keltner as well as his beloved dog Wendy. He was preceded in death by his parents, Orville and Grace Keltner, brother, Gary and great-grandson, Lucas Cutshall. Memorial services will be held Wednesday, June 13, 2012. Visitation will be held at 6:30 with the service to follow at 7:30 p.m., at the Shawnee Park Christian Church, Shawnee, KS. To share a memory or leave condolences, please visit Laurence's memorial website at www.maplehillfuneralhome.com. 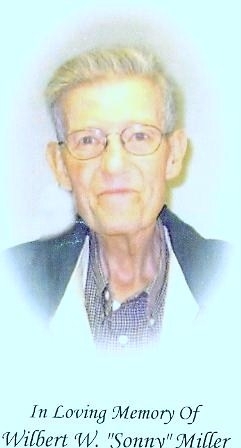 Edward Eugene Butts passed away May 26, 2012, at his beloved farm near Norborne, Mo. Eddie was born Aug. 27, 1938, in Wea Township, near Louisburg, Kan., to Edward Levi and Dora Lorraine Duncan Butts. He lived on a farm near Cleveland, Mo., until 1947 when the family moved to Lenexa, Kan. He graduated from Shawnee Mission Rural High School in 1957. He was very active in Boy Scout Troop 186 in Lenexa and earned his Eagle in 1955 and was a member of the Order of the Arrow. 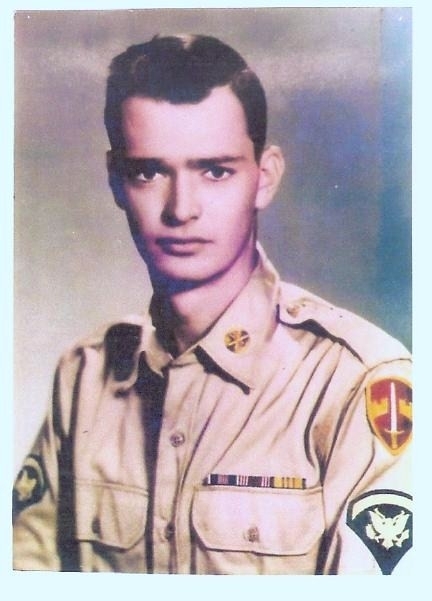 After high school he joined the U.S. Air Force Reserves 442nd Supply Squadron and was called to active duty during the Cuban Missile Crisis. In 1958 he began working for Business Men's Assurance Company and met the love of his life, Dorothy F. Linville of Norborne. They were married at the United Methodist Church in Norborne on Aug. 30, 1958. He continued to work at BMA and retired as a Vice President in 1995. After retirement from BMA he and his beloved wife Dorothy retired to Norborne and their lifelong dream of returning to the farm. Eddie was an active board member of the Trustees of the Carroll County Memorial Hospital, board member of the Rural Water District #1 of Carroll County, and board member of Freedom Retirement Center. He was preceded in death by his parents. 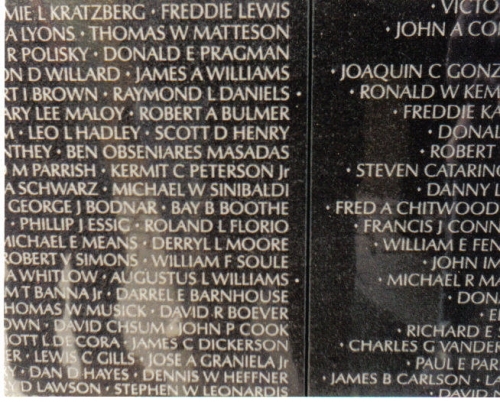 Eddie is survived by his wife, Dorothy, his son, Daniel Edward Butts (Cathy) of Overland Park, Kan., and three grandchildren, Lauren Elizabeth Butts, William Edward Butts, and Robert Andrew Butts, two sisters, Amy Lee Roberts (Fred) of Olathe, Kan., and Lou Etta Wilson (Lee) of Lenexa, Kan., and a sister-in-law, Doris Jean Beebe (Dave) of Norborne, an aunt, Golda Ferne Butts Hendrickson of Paola, Kan., and numerous nieces, nephews, and cousins. In lieu of flowers the family suggests donations be made to the United Methodist Church of Carrollton, Mo., the United Methodist Church of Norborne, or United Methodist Church of Lenexa. Funeral services will be held at 11 a.m. Wednesday, May 30, at the Norborne United Methodist Church. Burial will be in the Fairhaven Cemetery in Norborne. Arr. : Thurman Funeral Home, Norborne. Wesley "Jay" Davis died at his home in Grove, Okla., April 25, 2012, after a long and courageous battle with melanoma. There will be a memorial service at 1 p.m. Thursday, May 3, at St. Michael's and All Angels Church, 67th and Nall, Mission, Kan. Jay was born Nov. 6, 1939, in Kansas City, Mo., to Nolan and Mary (Hubach) Davis. He lived in the Johnson County area most of his life. He graduated from Shawnee Mission High School and attended The University of Kansas, and was an avid KU fan. He owned NAPA auto parts stores in Mission, Shawnee, Overland Park, Lenexa and Olathe. He was preceded in death by his parents and two granddaughters, Lauren and Grace. Survivors include his wife of 49 years, Nancy (Crocker) Davis of the home, his daughters, Julie (Kevin) Dunn of Centennial, Colo., Jennifer (Rod) Ford of Olathe, Kan., Susan Chambers of Leawood, Kan., and Sara (Dan) Cady of Overland Park, Kan., his sister, Liz Brandenberg of Northville, Mich., and grandchildren, Rachael, Davis, Ellie, Jackson, Katherine, Mac and Sean. A reception will be held from 2:30 to 4:30 p.m. immediately following the service at The Lakeside Tavern, 10551 Mission Road. In lieu of flowers, the family requests contributions to KU Endowment/KU Cancer Center, PO Box 928, Lawrence, KS 66044 or KC Hospice, 9221 Ward Parkway, #100, Kansas City, MO 64114. Elizabeth Petersen (nee Ewert) passed away March 2, 2012 at her home in Palatine, Ill. She was born February 24, 1939 in Kansas City, Mo., to Bernie and Claire Ewert. Beth graduated from Shawnee Mission High School, attended Kansas State University and was a member of the Village Presbyterian Church in Prairie Village. After moving to Barrington, Ill., she worked with the Barrington SITE Committee beautification and education projects and owned the Pampered Plant floral shop. An active member of Willow Creek Community Church in South Barrington, Ill., she volunteered with hunger and shelter ministries. She is survived by her sons: Brent, of Hope Valley, RI, Chris, of Philadelphia, and Scott, of Los Angeles, and granddaughters, Sadie and Ella, of Philadelphia. She is also survived by her siblings: Jess, Bern, Steve, and Jeff; and her former husband, Gary. A memorial service will be held at Willow Creek's chapel on Monday, March 12, at 11 a.m. She will be laid to rest in the Johnson County Memorial Gardens in Overland Park. Barbara Lee Price Davis was born on May 31, 1938 and passed away on Sunday, April 10, 2011. Barbara was a resident of Irving, Texas. ORANGE CITY, Iowa -- Marietta Vandersall, 72, of Orange City passed away on Saturday, Oct. 8, 2011, at the Orange City Area Health System Hospital. Memorial services will be 9:30 a.m. Tuesday at Trinity Reformed Church in Orange City, with the Revs. Jonathan Opgenorth and Robert De Boer officiating. Interment will be in West Lawn Cemetery in Orange City. Visitation will be after 4 p.m. today, with the family present 5 to 7 p.m., at the church student center. Arrangements are with the Oolman Funeral Home in Orange City. Please share greetings to the family and thoughts and stories about Marietta at www.oolman.com. Marietta Ann was born on Feb. 16, 1939, in Kansas City, Mo., the daughter of Luther A. and Etta Mary (Thomasson) McCullough. 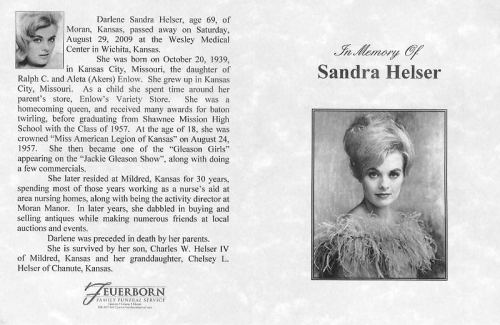 She was raised in Kansas City and Johnson County, Kan., where she graduated from Shawnee Mission High School in 1957. In 1961, she received her Bachelor of Arts degree from Sterling College in Sterling, Kan.
On Dec. 30, 1961, she married Stanley James Vandersall in Shawnee, Kan. They lived in Amsterdam, N.Y., Cleveland, Ohio, and Des Moines, Iowa, while serving Reformed churches. In 1981, they moved to Orange City. She was administrative assistant at the Maurice-Orange City Elementary School from 1981 to 1991 and administrative assistant to the academic dean at Northwestern College in Orange City from 1991 to 2001. 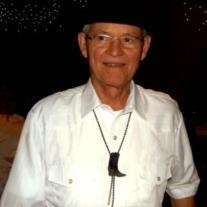 George Bailes, 73, of KC, MO passed away on Jan. 20, 2012. He is preceded in death by 4 brothers. He is survived by his wife, Nora Bailes; son, Steve Bailes; daughters Terrie Broyles and Teresa Seaman; 2 brothers and 2 sisters. Service will be held at a later date. Don Leslie Lewis, son of Archie and Sallie Lewis, passed away peacefully at Sweet Life of Rosehill on Jan. 22, 2012. Born Feb. 4, 1937, Don came from a family of school teachers. He earned a BS in chemistry and an MS in physics, and for 35 years he taught math, chemistry and physics in several Texas high schools and at Coastal Bend College in Beeville, TX. Students remember him for his witty good humor and intelligence. Survivors include his wife Waverly of Shawnee, KS; daughter Amy of Ventura, CA; brother Hugh and his wife Hazel, Los Angeles, CA; niece Sarah, San Antonio, TX; and nephews, David and John and their families of Austin, TX. Between Don and Waverly they have 7 nephews, 1 niece, 3 great-nieces and 8 great nephews. A life-long Methodist, Don was a loving and compassionate husband, father, and friend. Since Don and Waverly recently moved from Bandera, TX, a memorial service is planned in Bandera for early spring. Memorial donations may be made to the following: Bandera United Methodist Church, P.O. Box 128, Bandera, TX 78003; Pettus United Methodist Church, Drawer B, Pettus, TX 78146; or Odyssey Hospice, 8735 Rosehill Rd., Suite 200, Lenexa, KS 66215. Visitation will be 9:30 a.m. to 10:30 a.m. Saturday, January 28 at the Amos Family Chapel of Shawnee. Services will follow at 10:30 a.m. at the chapel with burial at Shawnee Mission Memory Gardens. Dwight Spencer of Emporia died on Friday, Nov. 25, 2011 in Emporia. He was 87. A graveside service will take place at 11 a.m. Friday, Dec. 2 at Maplewood Memorial Lawn Cemetery, with military honors provided by the American Legion Ball-McColm Post #5. The family requests that instead of flowers, memorial contributions can be sent to the Mary F. and Kenneth A. Hutton Field Biology Scholarship at Emporia State University. Online condolences can be sent to www.charterfunerals.com. 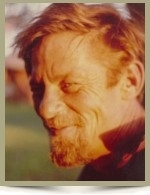 Nellis Dale "Red" Greer, 71, KCK, died July 16, 2011. Funeral services 11 a.m., Wed., July 20, Highland Park Funeral Home & Crematory, KCK, (913) 371- 0699. Burial in Shawnee Mission Memory Gardens. Visit 10 a.m., Wednesday. 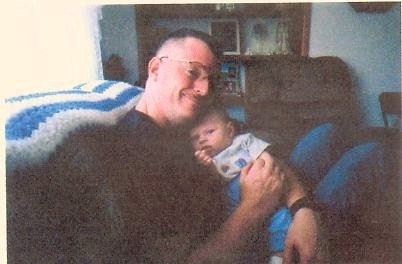 Clarence A. Baker, Jr., 71 of Leawood, Kansas passed away September 22, 2010 surrounded by his loving family. Mr. Baker touched the lives of many people with his kindness, generosity, sharp wit and wonderful sense of humor. After graduation from Shawnee Mission North High School, Mr. Baker earned his Bachelors degree from The University of Missouri-Kansas City and Transportation degree from Rockhurst University. He was president and Co-Owner of All Points, Inc. in Kansas City, Missouri for 40 years before retiring. Mr. Baker held numerous civic and professional positions including President of Traffic and Transportation Club, President of Japan American Society and President of Jaycees. He served on the agent councils for both Allied and Bekins Van Lines. He also served on the Carrier Counsel for the Xerox Corporation nationally. Mr. Baker was instrumental in the development of Johnson County Community College. In 1996 his company, All Points Inc., was recognized as one of the Top 10 businesses in Kansas City. Mr. Baker was an Eagle Scout and a DeMolay with the Chevalier Award. He was a member of the Gulf Coast Church of Christ Ft. Myers, Florida. Mr. Baker is survived by his wife Suzanne, son Jeffrey and his daughter-in-law Tammy, granddaughters Elizabeth and Brittney and two great grandchildren James and Brooklyn, all of Leawood Kansas. Other survivors include his sister Jorgeann Hiebert (Harry) Boulder, Colorado, sister-in-law Diane Weible ( David) Champaign, Illinois. He was preceded in death by his parents Clarence and Georgia Baker and his son Kenton Baker. Mr. Baker enjoyed summers fishing on the lakes in Perham, Minnesota. He wintered in southern Florida, fishing, playing golf and entertaining many visitors his favorite being Raul of Buenos Aires, Argentina. Mr. Baker had a passion for cruising and traveling the world. A special thank you to Dr. Keith Jantz and Debi Chambers of Kansas City Internal Medicine. Honoring Mr. Baker's request there will be a private family service. 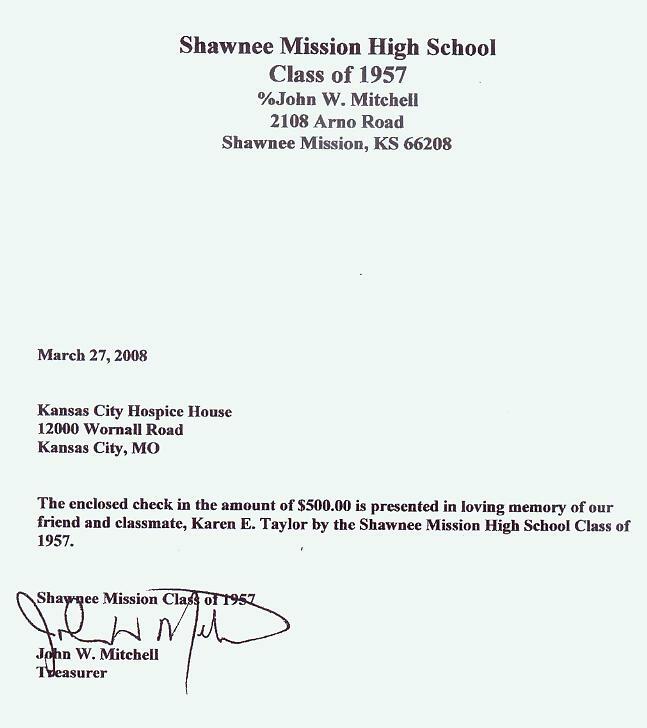 In lieu of flowers, the family suggests memorial donations in Clarence Baker's name to his favorite charity that grants wishes for terminally ill children, Make A Wish Foundation-Kansas City, 7000 W. 105th Street, Overland Park, Kansas 66212. Condolences may be made at www.mtmoriah-freeman.com. Arrangements under the direction of Mount Moriah & Freeman Funeral Home, Kansas City, MO. Jess was born on February 20, 1922 and passed away on Monday, October 5, 2009. Jess was a resident of Keller, Texas. Tony La Pides passed away June 2009. I talked to his wife Carol in Atlanta, Georgia today (9-21-2011) and she said she would love to hear from any that remember Tony. If you wish to email or telephone please contact Peggy Willis Sherard thru the Contact Us page on this web site and I will get you Carol's information. Barbara Sue Lovelace, 71, of Granbury died peacefully at home on Monday, March 21, 2011, surrounded by her husband and children, and now God has received another angel. Memorial service: 11 a.m. Friday at Granbury Church of Christ, 1905 W. Pearl St., Granbury. Memorials: In lieu of flowers, please send donations to Physicians Cancer Research Foundation, 12221 Merit Drive, Suite 500, Dallas, Texas 75251. Barbara was born June 8, 1939, in Kansas City, Mo., the daughter of the late Dr. E.A. and Verna Wilkinson. On July 30, 1959, she married Bill Lovelace. She attended college at Abilene Christian College, and spent many years working with special-needs children in the Vernon ISD. Bill and Barbara lived in Dallas and Vernon before retiring to Granbury. Survivors: Her husband, Bill; sons and daughters-in-law, Danny and Dona Lovelace and Mickey and Kathy Lovelace; and daughter and son-in-law, Missy and Scott Taylor, all of whom reside in the Fort Worth area. She is also survived by 10 grandchildren, two great-grandchildren, three sisters and one brother. 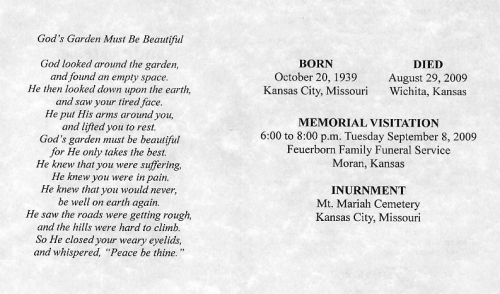 Judy A Moore McCully died October 29, 2008 She only attended Shawnee Mission North her freshman year (we believe) and then moved to California. She died in Texas. No obit has been located. Many of us from Hickory Grove and Girl Scout Troup 47 remember Waverly Anderson's Mother helping Sandy Grubb's mother Thelma with out troup. Our hearts go out to Waverly and hope her husband Don will find better health in 2011!! We were sorry to learn that Alice Campbell lost her brother Wm. in December and Joyce Talbot Wiedenmann also lost her brother Thomas. Our class of 57 wishes to express our condolences. KEELEY C. Robert Keeley, of Upper Arlington, Ohio, passed away on Thursday, May 6, 2010 following a long illness. He was born in Cincinnati, Ohio on March 19, 1938 and graduated from Shawnee Mission High School in Kansas City, KS. He was an active member of the Free Mason's Goodale Lodge #372, the Ohio Republican Party and a volunteer at Riverside Methodist Hospital. He is survived by his wife of forty-four years, Pamela; daughters, Wendy (James) Brown, Kara Keeley; granddaughters, Keeley, Sophia and Shannon. Funeral arrangements by EGAN-RYAN FUNERAL HOME, 4661 Kenny Road. Visit www.egan-ryan.com for condolences. 71, of Phoenix, Ariz., passed away February 17, 2010. Her illness did not defeat her spirit, silence her laughter or alter her positive attitude. Larry Osgood passed away of natural causes Saturday Jan. 30, 2010, in Caldwell. Larry was born May 25, 1939, in Worthington, Minn., to Esmond Vernon Osgood and Donna Lucille Lawrence-Osgood. He attended school at Shawnee Mission, Kan., and graduated from Yankton High School in South Dakota. He attended Boise State University and graduated from the University of Idaho with a degree in mechanical engineering. He was named the Outstanding Graduating Engineering Student of 1975. Larry worked as a draftsman for FMC early in his career. From there he went to work for Alpha Engineers, moving to Caldwell in 1970. He was made a partner in the company and was the manager of the Caldwell office. After a car accident which left him in a wheel chair he went to work for the state of Idaho as an engineer for the state of Idaho and was eventually appointed by then Governor Andrus, as the Director for the Division of Public Works. He remained in this role through several governors until his retirement from the state in 2005. After a weekend of enjoying retirement he began his second career for the city of Caldwell, serving in several capacities including the Director of Public Works. He was well respected by all of his employees and coworkers. Larry was a loving husband, father and grandfather. He loved to spend time with his family playing board games. He especially enjoyed playing video games and could be found playing the newest games late into the night. Larry loved computers and was always up on the latest technology. He spent many hours helping us with our projects no matter how short of notice we gave. Larry also loved to spend time bass fishing with his son and of course, the best fisherperson in the family - his daughter. He was preceded in death by his parents Vernon and Donna Osgood and Linda his wife of 49 years. He is survived by his son Jeff and wife Renee, daughter Lori Moser and husband Keith; grandchildren Brandi Wilbur, Ashley Wilbur-Hoobery, Brooke Osgood- Fukuoka, Tyler Osgood and Logan Moser; brother Bob Osgood and wife Susy; sister Marj Osgood-Martines and husband Jeff, and sister-in-law Judi Osgood. Larry lived his life believing that life is not measured by the breaths we take, but by the moments that take our breath. He will be greatly missed by his family as well as all those whose lives he has touched. A celebration of Larry's life will be held on May 1, 2010 - the location and time to be announced. In lieu of flowers donations should be sent to City of Caldwell Mayor's Youth Advisory Council Scholarship Fund. Peggy; I thought you would want to know, Leon passed away Friday 8th. At 7:30 A.M. I want to thank you for the prayers and kindness shown him during his fight with cancer. Hopefully we can still meet one day. I'm sorry we could not make it when you were down this way.His funeral is at Adams Funeral Home at 255 Walnut. Ozark Mo. It will be at 12:00 noon. Visitation will be on Mon.11th at 6:00 to 7:00.It would be greatly appreciated if you could spread the word. Thank you. P.S. We would have celebrated our 50th anniversary on August 12th this year.That's a long time but you know I would do it again in a heart beat. Time: 6:00 - 7:00 P.M.
W. Leon Phillips, age 70, of Sparta, went to be with his Lord and Savior Friday, January 8, 2010. He was born January 27, 1939 in Princeton, Kansas, the son of Floyd Harley and Mary Elda (Yerkes) Phillips. 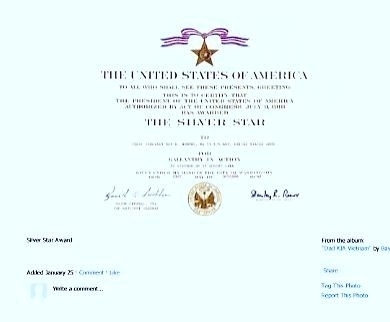 He served his country in the U. 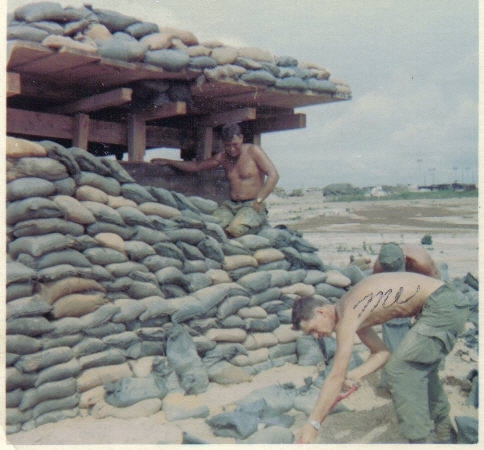 S Army in the 357th Artillery Detachment. On August 12, 1960 he and Sylvia Ann Rockwell were united in marriage in Shawnee, Kansas, where they lived until 1995. He retired from AT&T after 31 years. Mr. Phillips was a member of First Baptist Church of Ozark. He was a member of the Pioneer Club in Springfield and Rotary Club in Shawnee. He had many talents including woodworking, restoring old cars, and gardening. He enjoyed golf, and playing the harmonica and guitar. He was a supporter of Least of These. Survivors include: His wife, Sylvia; a daughter Tara Lea Jenkins and husband Andrew, Sparta; a granddaughter, Kaelin Ann Jenkins; and a brother, Evan Joel Phillips, Wellsville, Kansas. He was preceded in death by his parents and a brother, Warren Dale Phillips. Funeral services will be 12:00 noon Tuesday, January 12, at Adams Funeral Home, Ozark. Burial with military honors will follow at Missouri Veterans Cemetery, Springfield. Visitation will be from 6:00 – 7:00 PM Monday at the funeral home. Memorials may be made to the American Cancer Society. THE VILLAGES --George William "Bill" Elstun, 70, died Saturday, Nov. 21, 2009. Mr. Elstun was born in Kansas City, Mo., and moved to The Villages from Atlanta, Ga., this year. He was a computer salesman and consultant, traveling the world for business and pleasure; of the Methodist faith; member of Phi Delta Theta Fraternity; Fellowship of Christian Athletes; Porsche Club of America; and the University of Kansas Alumni Association. Survivors include his wife, Margie; daughter, Melinda Elstun Lockhart, Llano, Texas; son, Gregory William, Richmond, Va.; and four grandchildren. Services will be held at 11 a.m. Saturday, Nov. 28, at Lady Lake United Methodist Church, Lady Lake, with Pastor Chris Sanders officiating. In lieu of flowers, memorial contributions may be made to American Diabetes Association, 1101 North Lake Destiny Road, Suite 415, Maitland, FL 32751 or a charity of the donor's choice. ASHNER Rajenia (Gina) Ann Feagan Ashner, 67, Overland Park, KS, passed away surrounded by family and friends on July 31, 2009. Born on July 17, 1942, in Clovis, New Mexico, Gina enjoyed a career in real estate in Overland Park with Ashner Brothers Realtors and Reece & Nichols. Devoted to Christ, she was a member of Nall Avenue Baptist Church, faithfully serving as a Sunday school teacher. Gina was preceded in death by her father, Jack R. Feagan, Sr. She is survived by her mother, Ernestene Feagan; Herbert Ashner, beloved husband of 39 years; three children, Kelley Patterson, Leslie Crocker, and Chris Ashner; six grandchildren; and three siblings, Jack R. Feagan, Jr., Dr. L.T. Feagan, and Nicki Jo Gullickson. Funeral services will be at 1 p.m., on Wed., August 5, at Nall Avenue Baptist Church, 6701 Nall Avenue, Prairie Village, KS. Memorial contributions may be made to the American Cancer Society or Nall Avenue Baptist Church. Arr. : McGilley & Hoge, 913-642-3565. Robert Allen Moore, 70, of Honolulu, died March 14, 2009. Born in Coffeyville, Kan. Retired city planner with City & County of Honolulu. Survived by daughter, Alanna Aiko; sister, Pat Viets. Private services held. Arrangements by Nuuanu Memorial Park & Mortuary. Catherine ANNE Phillips Alvarez died March 8, 2004 (age 64) Overland Park Regional Medical Center She was art teacher North East High School. Died about 1982 while on vacation in Florida was crossing street with another lady Elizabeth died instantly other lady lived. We heard from Wayne Schoepke 2-7-09 and he said her children will enjoy looking at the grade school pictures. John Frederic Marshall, age 68, passed away on January 18, 2007 in Provo, Utah of cancer. He was born September 5, 1939 in El Centro, California to Carl J. Marshall and Martha Zoe Emerson. He married Bonnie Brown in the Los Angeles Temple in 1965 and they are the parents of five children. 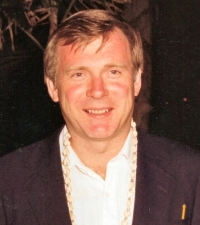 A convert to the LDS Church, John served a mission to Norway 1963 -1965 and together they served in Hawaii 2006 - 2007. John attended Kansas City Art Institute, Art Center School-CA, and obtained his BFA and MA Degrees at BYU. John created the Industrial Design program at BYU in 1967, and taught there for 41 years, first in the Art Dept, then in the College of Engineering. He is proud of the fact that his students are successful Industrial Designers all over the world. He also taught at design schools in Hong Kong, Israel and Switzerland and was a designer with Hewlett Packard. John served in many callings in the LDS Church, as well as Bishop and Branch President at BYU, the MTC and abroad. He loved the Lord and had a solid testimony of the restored Gospel of Jesus Christ. John was known for helping his neighbors, his sense of humor, and his love for cars. He loved his family, and was so proud of his children, ten grandchildren, and one great-grand child. He is survived by his wife Bonnie, their children: Stephanie (Tom) Felt, Susannah Marshall, John E. Marshall (Iris), Sarah (Rhett) Longman and Meredith (Nathan) Simpson; and sisters Sally Henley, Judith Marshall and Elizabeth Carleton. Roberta was born June 25, 1939, in Kansas City, Mo. and had lived most of her life in Overland Park, Ks. She was a Customer Service Rep. for Quality Control and attended St. Pius X Catholic Church. 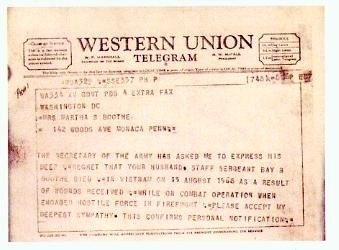 She was preceded in dead; by her parents Robert and Leona Schultz. She is survived by daughter Carla S. Palmer, Grand Junction, Co; two sons, Seth and his wife Susan Gausnell, Naples, Italy; two sisters, Sue Kahle, Mission, Ks. and Pat O'Hagan, Overland Park, Ks. ; brother Josey Schultz. Helena, Mt. ; and two grandchildren, Rebecca and Graham Gausnell, St. Louis, Mo. (Arr. Porter Funeral Home, 8535 Monrovia, Lenexa Ks. Nancy Streeter Drury died 4-27-08 of complications from MS. Nancy did not graduate with our class but we have found her picture in the 1955 class year book. We send our condolences out to her husband William and her family. Published in The Atlanta Journal-Constitution on 4/29/2008. And bury your sorrows in doing good deeds. Karen (Clayton) Taylor. We are honored and humbly say "THANK YOU!" Thank you again and you have our sincere gratitude and admiration. My heart's breath, the light of my life. 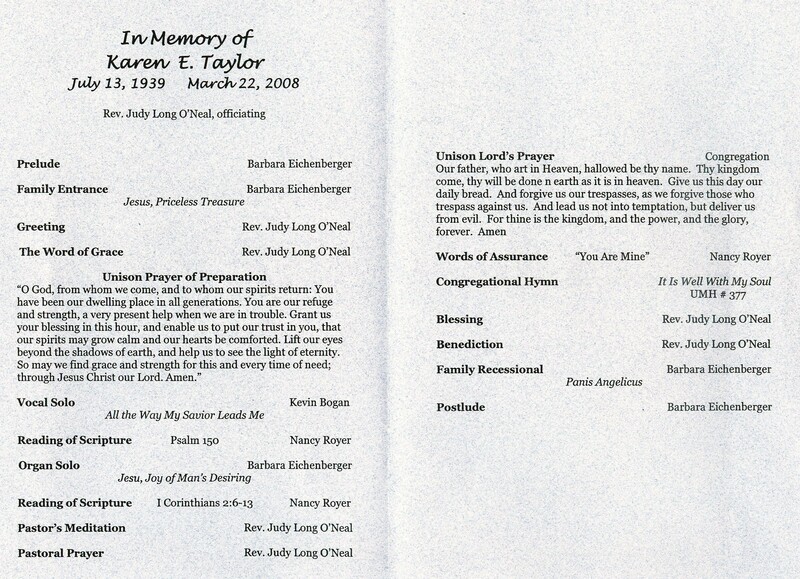 Karen E. Taylor, age 68, of Overland Park, Ks, died on March 22, 2008 of cancer, surrounded by her family. A resident of Johnson County since 1948, she was born July 13, 1939 in Creston, Iowa to Walter Dean and Ramona (Van Velsan) Clayton. She graduated from Shawnee Mission High School in 1957 and enjoyed several careers throughout her life, retiring in 2007. Karen is survived by her loving husband of almost 48 years, David W. Taylor; two daughters and their husbands, Sheryl and Gordon Bolton of Creston, IA, and Janet and Gary Goss of Leawood, KS. Karen is also survived by two sisters and their husbands, Raidene and Donald Sticken of Creston, IA and Jeannie and Bill Boothe of Climax Springs, MO. She leaves 4 grandchildren, Brian (wife Amy) Bolton, Rachael (husband Clint) Travis, Kevin (wife Stacie) Bolton, all of Creston, IA and Scott Goss of Alexandria, VA; 7 great-grandchildren, Kaden, Gavin and Emma Bolton and Jacob, Gracie, Luke and Caleb Travis, all of Creston, IA, and several nieces and nephews. Karen was preceded in death by her parents. She loved her family and friends dearly! Karen was a lady in every way with a very kind heart and modest manner. She had a passion for life and set a wonderful example of how to live life and treat others. Karen was committed to serving others as a tutor for Literacy Kansas City, serving on the Board of Directors for Oakshire in Overland Park, Kansas, and as a member of the Hand Bell Choir and volunteer at Church of the Resurrection. She was an avid learner who believed in keeping young by learning new things, such as tap dancing, tai chi, playing the recorder, and wool rug hooking. She loved music, reading, shopping for shoes, spending time with friends and family and thought it was fun to be a girl! Karen's accomplishments include playing the Mormon Tabernacle pipe organ in 1976, receiving the Highest Award for Achievement from the Dale Carnegie Course in 2005, and she was an important member of the Shawnee Mission High Class of 1957 50th Year Reunion Committee where she took great pride in creating and maintaining the class reunion web site. 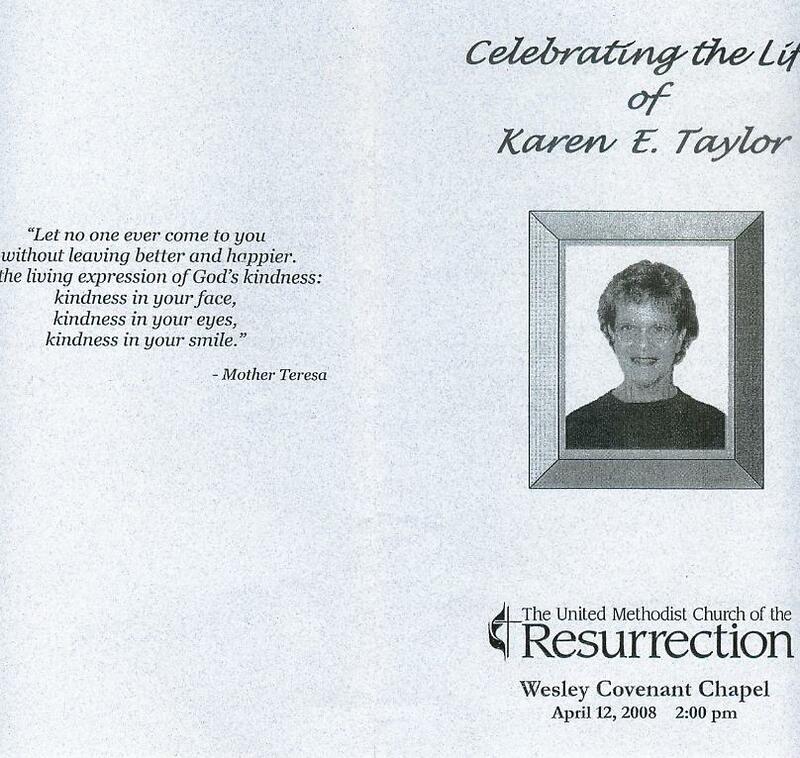 Karen was a precious wife, a cherished mother, a very loving grandmother and great-grandmother, and a dear friend. Our loss will never be overcome but we will carry her spirit with us and she will help guide us through each new day. Karen was a member of The United Methodist Church of the Resurrection, where a memorial service will be held at a later date. Details of the service will be announced in the Kansas City Star. In lieu of flowers, donations can be made in Karen's memory to Kansas City Hospice House, 12000 Wornall, Kansas City, MO or to The United Methodist Church of the Resurrection - Karen Taylor Memorial Fund for Church Camp and Retreat Center, 13720 Roe Avenue, Leawood, KS 66224. Cremation, with private interment in Graceland Cemetery, Creston, IA, at a later date. William 'Bill' Harper, age 69, of Camdenton, Missouri, passed away on Monday, March 10, 2008, at his residence, after a six-month battle with brain cancer. He was born June 18, 1938, in Kansas City, Mo., a son to William Ralph and Cora Myrtle (Day) Harper. On July 6, 1958 in Kansas City, Kan., he was united in marriage to Ruth Crews. 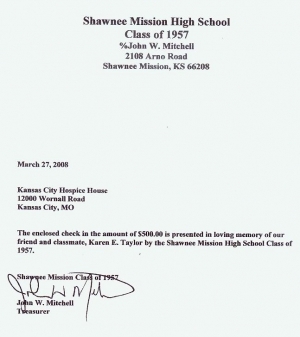 Bill attended Shawnee Mission North High School until his senior year. 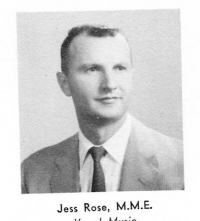 He then attended and graduated from Rosedale High School, Kansas City, in 1957. Bill worked several years for the United States Post Office and later worked for Rigby Printing in Lenexa, Kan. He was the national sales manager for G & H Decoy from 1971 to 1979 in Henryetta, Okla. From 1979-1989, Bill owned and operated Lohman Bill Harper Manufacturing and Game Call Company in Neosho, Mo. He hosted two television series programs: 'Sarita Safaris' and 'Outdoor Hunting and Cooking with Bill Harper' in Texas and Missouri. He also owned the Cookshack BBQ in Neosho, Mo. Bill and Ruth moved to Camdenton in 1983 and opened Bill Harper's BBQ restaurant. The last project Bill was involved in was manufacturing custom game calls with business partner Matt Bentz. He hosted the annual Bill Harper Youth Turkey Hunt and regularly held seminars on hunting and game calling. He was a life-member of the National Wild Turkey Federation, a member of the NRA, Ducks Unlimited and Custom Call Makers Association of America. Bill loved hunting, fishing and the outdoors. He will be missed by all who knew and loved him. Surviving are his wife, Ruth, of the home; three daughters: Tami Freeman and husband Billy of Camdenton, Mo., Sherry Pogue and husband Grover of Neosho, Mo., and Debbie Rolando and husband Tim of Kansas City, Mo. ; eight grandchildren: Michael Freeman, Emily Freeman McGuire and husband Ryan, Billy Freeman, Stephanie Pogue, Ethan Pogue, Drew Pogue and wife Angela, Gabriella Rolando and Lilly Rolando, and two great grandchildren, Carter Pogue and Colten Pogue along with several nieces and nephews. Bill was preceded in death by his parents and two sisters: DeAnn Claiborne and Charlotte Faught. 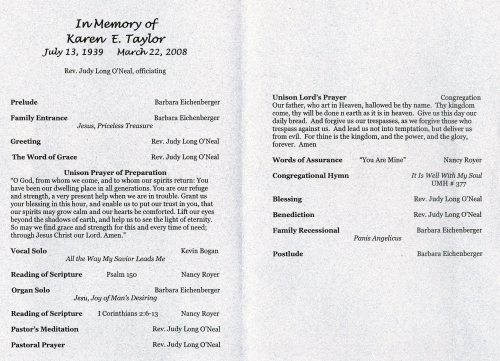 Memorial services were held on Saturday, March 15, 2008, at 2 p.m., at the Hedges-Scott Funeral Home, Camdenton, Mo. The family received friends from 11 a.m. to 2 p.m. prior to service time at the funeral home. Memorials to honor Bill's life are left to the discretion of the donor. Arrangements are under the direction of the Hedges-Scott Funeral Home, Camdenton, Mo. Published in the Kansas City Star on 3/16/2008. It is with deep sorrow we have to tell you that Elwin has passed away! He will be so missed by all of us!! Kay our hearts go out to you and your family!! Loveland, at the United Methodist Church at 11:00 AM. THOMAS, Elwin H., of Loveland. Husband of Kathryn “Kay” Thomas. Memorial service 11 a.m. Saturday, Feb. 2 at First United Methodist Church. Memorial contributions to Hospice of Larimer County, 305 Carpenter Road, Fort Collins, CO 80525, or Larimer Humane Society, 6317 Kyle Ave., Fort Collins, CO 80525. Elwin H. THOMAS , 69, of Loveland, passed away peacefully at McKee Hospice in Loveland on Friday, Jan. 25, 2008. Elwin was born in Oberlin, Kan., on Oct. 25, 1938, to Geoffrey Leroy and Lenora (Klawonn) Thomas. Elwin was raised in the Kansas City, Kan., area and graduated from Shawnee Mission High School, 1957. Elwin married Kathryn ‘Kay’ Page in Shawnee Mission, Kan., on Feb. 14, 1959. They made their home in the Los Angeles, Calif., area where Elwin had begun his career with DeLuxe Check Printers. The company transferred them to Portland, Ore., St. Paul, Minn., Kansas City, Kan., and to Colorado in 1975. Elwin was with the company for 32 years, retiring on Dec. 31, 1990. They moved to Loveland in 1999 from Littleton. Elwin was a member of the Loveland Elks B.P.O.E. No. 51 and former member of the Loveland Lions Club. Elwin loved his family and loved to travel with Kay in their RV. Since Elwin’s retirement they traveled to 48 states, and spent most of their winters as snowbirds. Elwin is survived by his wife, Kay Thomas of Loveland; son, Bill Thomas and wife Robin of Castle Rock; daughter, Lori Moore and husband Kyle; and granddaughter, Stefanie Tilton of Littleton. Elwin was predeceased by an infant daughter, Wendy Michelle. A memorial service will be held 11 a.m. on Saturday, Feb. 2, at First United Methodist Church, Sixth and Grant. Memorial contributions to Hospice of Larimer County, 305 Carpenter Road, Fort Collins, CO 80525 or to the Larimer Humane Society, 6317 Kyle Ave., Fort Collins, CO 80525. I was only 15 months old when my father was killed in Vietnam. 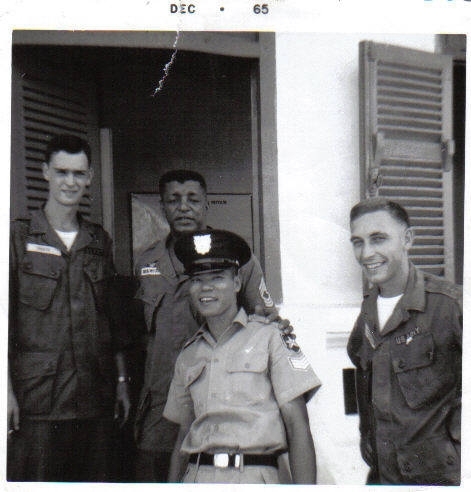 I spent a lifetime trying to figure out who he was and why he kept going back to Vietnam. I eventually ended up serving in Desert Storm and the friendships that I made there seemed to be the answer. Info on dad. He was serving with the 199th LIB when he was killed. 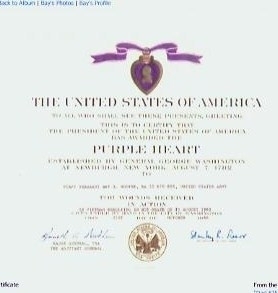 He was awarded the Silver Star and Purple Heart for some of the actions that he performed on the day he died. Bay Booth Jr. would love to hear from any of his Dad's friends. Thank you Bay for sharing pictures with us!! Please use the email contact link above and let Bay Jr. know how much we admire his Dad!! Please friends let us each in our own way remember our loved ones and friends that are not with us now. Tony La Pides (Hickory Grove student) passed away June 2009. I talked to his wife Carol in Atlanta, Georgia today (9-21-2011) and she said she would love to hear from any that remember Tony. If you wish to email or telephone please contact Peggy Willis Sherard thru the Contact Us page on this web site and I will get you Carol's information. It's with heavy hearts that we inform you that Bart Everett passed away peacefully in his sleep on Tuesday, January 9th, 2018 after a long illness. Bart was a loving husband, father, and grandfather and will be deeply missed. A service and celebration of life will be held Saturday, January 13th, beginning at noon at St. Martin of Tours Church, followed by a gathering at his home. We welcome you to join us.